A lot will be and surely has already been said about the Lost finale, specifically the final scenes. People will say that the ending is a cop-out, that the ending is overtly religious, that ultimately the writers did provide a “the Island is the afterlife” or “the Sideways stories are purgatory” answer. They will say that there was not enough discussion of “the rules,” and that countless questions about mythology were not answered sufficiently. Some will say it was too slow; some will say that not enough characters got closure; some will say it was too sappy; some will say that it ruined the whole series. And someone somewhere will probably say that there wasn’t enough Libby. It was basically preordained, in other words, that this episode would be controversial. But the question to keep in mind in judging it, though, is: Did the finale provide consistent and compelling closure for the series? 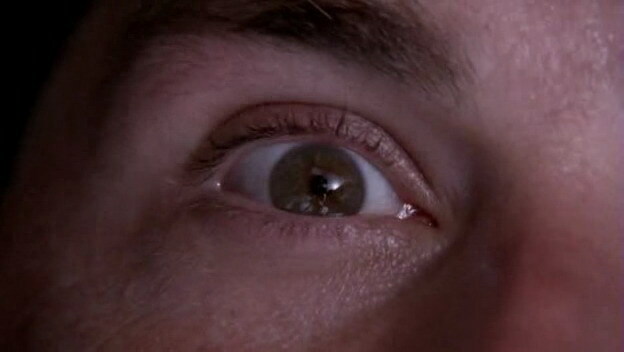 Lost has always been a spiritual show, whether that spirituality manifested itself in the Man of Science vs. the Man of Faith debates between Jack and Locke, the steadfastness of love in the stories of Desmond/Penny, Sun/Jin, Sawyer/Juliet, etc., or the sense of destiny and purpose that each character seemed to both crave and fear. This season that spirituality manifested itself in the Sideways stories. Starting with Desmond’s episode, “Happily Ever After” (a name which certainly takes on new meaning after last night), the central question of the season was how the Sideways stories connected to the main plot. The general consensus seemed to be that as Desmond gradually tracked all the characters down and exposed them to the on-Island reality, they would be forced to choose between the two versions of reality, or simply be forced to accept the Island reality as real. For some, like Charlie and Locke, this would mean accepting death. For others, it would mean losing loved ones, like Jack’s son and Helen Norwood. Yesterday, I proposed a theory (and I doubt I was the only one) in which the Sideways stories, rather than getting subordinated to the Island reality, would actually become the “real” reality, necessitating some sacrifices. The ending we got, in typical Lost fashion, was neither of these. Instead, the Sideways timeline wasn’t really an alternate timeline at all, but some sort of afterlife. It would be easy to reduce this down to Heaven, or some kind of Heaven-facsimile (devoid of any particular religious connotations, of course). And there was certainly a Heavenly vibe to the final Island-reunion scene, in which most of the shows characters get together for some kind of weird religious service/cocktail party. But the scene preceding that, with Jack and his dad over the coffin, provided a much different perspective, and a much more intriguing one. For one, it was very telling that, for Jack, it wasn’t meeting Claire or kissing Kate or fixing Locke that jogged his memory, but seeing the coffin itself. This would seem to communicate the idea that it wasn’t a connection to any particular individual on the Island that haunted Jack, but rather the looming cloud of death that hangs over him. Helping him work passed this cloud of death and “let go,” though, is Christian, who for once appears in a state where we don’t have to question who he is or how he is being used. The conversation between Jack and Christian was one of those very rare scenes in Lost where someone asks straightforward questions and gets straightforward answers. Jack asks Christian if he’s dead, and Christian says yes. Jack asks how he is here, and Christian asks how Jack is here. Jack realizes, then, that he is dead, too, and that they are all dead. This fact really should have been clear a scene earlier, with Hurley and Ben talking outside the Church. Following their scene on the Island, Hurley tells Ben, “You were a great Number Two”; to which Ben responds, “You were a great Number One.” At that point it was clear that the “memories” the Sideways characters were made aware of were not just the parts of their lives that the audience was aware of, but everything up to and including their deaths. Of course, this drastically changes what it means to “remember” that world: Instead of seeing that world as merely an option to compare the Sideways realm to, those memories become the sum total of your existence. The concept of a “choice” or a “sacrifice” becomes utterly moot: All of this has already happened, and all of it will happen again. This type of spirituality, though, should absolutely not be confused with Heaven, or any conventional notion of a Judeo-Christian afterlife. To me it seems much closer, as that initial quote probably makes clear, to Nietzsche’s conception of the eternal return. In this conception of the afterlife, the question of “reward” or “punishment” or “redemption” in the afterlife becomes moot. For Nietzsche, these Judeo-Christian concepts denigrated the value of life itself: If everything in this life is subject to the oversight and judgment of an omniscient and omnipotent deity, then this life becomes mere a test performed for the sake of an afterlife. In this system of values, the true value of this life was determined by what happens to you in the next one. For Nietzsche, though, the real test should be the question of the Eternal Return: What if “a demon” told you that you were bound to live the life you’ve lived exactly as you’ve lived it, with every detail exactly the same, over and over again? Would this be a curse, or a blessing? In this system of values, the afterlife is just your life, and the ultimate test of value for how you live is simply how you experience your life. If you’ve had the kind of “tremendous moments” in your life that you would relish reliving, then such this kind of afterlife would be truly heavenly. I can’t help but see, mirrored in Nietzsche’s problems with Judeo-Christian theology, the problems many Lost fans had with the show’s sixth season. The introduction of the Sideways stories infuriated many viewers and critics, who wondered why we should care at all about an “alternate reality” when we had invested so much time in the characters on the Island, in the “real” reality. In other words, the alternate reality devalued the importance of the Island reality in the same way the afterlife devalued real life for Nietzsche. The similarities become even more pointed when you consider how critics like Alan Sepinwall and many viewers began to suspect that the alternate reality stories were, in fact, a kind of epilogue, in which the characters were rewarded or punished based on how they acted on the Island. In this theory, the alternate reality was exactly like a traditional afterlife. But it seems to me that Lost went emphatically in the other direction: As I saw the final image of the series, with Jack getting up and laying back down in the same spot we saw him wake up in the Pilot, and he sees the plane fly overhead and a smile creeps over his face even as he knows he is dying, I didn’t get the impression that Jack’s happiness comes from passing into some other reality, but from the knowledge that he is destined to wind up on the Island and live it exactly as he lived it. There will certainly be those who disagree with me, who say that the fact that the final scene took place in a Church, and that Christian walked out the door into a white light, indicate quite clearly that the show was ending with the characters going to Heaven. Of course, all of it could matter as the substance of a kind of test. A test that these characters passed, and so now they can enter Heaven. But that interpretation utterly ignores the journey the characters were on the Sideways universe. This was not some purgatory in which they were atoning for past sins or working to earn the forgiveness of some Ultimate Judge. The fact is that, in the final Church scene, there is no priest or authority figure (unless you count Christian, but he’s hardly the moral authority in that group). The journey these characters were on—and the journey that was mostly depicted in “The End”—was a journey of remembering and accepting the lives they lead. Jack’s smile as he laid in the jungle wasn’t a smile at passing a test, but of accepting his fate, embracing it, and being willing and eager to do it again. Alright then: If the Sideways story wasn’t a waiting room for Heaven, then what function did it serve? The key to this question came, once again, from Christian Shephard. When Jack asked what “this place” was, Christian told him it was a place they all built together, so they could “find one another again.” Now, it’s highly unlikely that he was talking about the Church—that seems to be his description of the Sideways reality. In other words, the Sideways world is a plane of consciousness for the survivors who can’t “let go” and “move on.” What exactly does this mean? Well, one of the recurring themes of Lost has been a reluctance to accept destiny. In some ways, a “place they built” can be Christian’s literal description of the world they “built” when Jack detonated the hydrogen bomb—the most emphatic example of them trying to flee their fate. But it also refers to the sides of their personalities that cannot accept the lives they were dealt—the sides that ran away only to be inevitably brought back together. The continued talk of “letting go” and “moving on” and “leaving” in the Sideways universe seemed to center on personal moments of self-discovery. The floods of memories the characters’ were faced with were so important because they forced them to confront their destinies. This is what “moving on” meant—there was no hint of absolution or repentance in them, just a realization that this is what was meant to be and an acceptance of that fact. This was also why Christian placed such an emphasis on them doing it together. It was only with Sawyer’s memories of his love for Juliet, of Jack’s memories of Kate, of Charlie’s memories of Claire, and so on, that they could come to accept the lives they led. It was only their love for each other that made the suffering and death palatable. For each of them, the moment of clarity was a moment of acceptance, on their own terms, of their fate. This was why Ben was not ready in his scene outside the Church. There was nothing external holding him back, but rather a lingering sense of guilt over what he did to Locke. He was not ready yet to go inside and accept his fate. Well, did you get what you wanted out of the finale? I think something that I wanted from the series finale was a sense of internal consistency. Whether it was surrounding the mythology that the show had built, the characters they had portrayed, or the philosophy that it espoused, I wanted the series finale to lend some sense of closure to its run. And I feel like I got that. The finale’s emphasis on accepting your fate, on committing yourself to a purpose no matter what that purpose is, on letting go of the self-doubts and internal strife that prevent you from achieving what you want, dovetailed nicely with the themes of the series. It’s been clear for a while now that Lost is really a show about faith, and the finale managed to walk the fine line between reiterating that and demonstrating a more nuanced conception of what “faith” means. This doesn’t mean that it was without flaws, of course. Some of the moments were sappy, and some of the turns seemed only half thought-out, like Hurley and Ben ending up in charge of the Island. And the finale dropped pretty much all pretense of answering questions. Not only were questions of Widmore’s motives dropped (which I’d predicted and anticipated), but we got no mention of “the rules,” of the electromagnetism on the Island, or the Egyptian relics. We didn’t even hear from Jacob at all. On some level, the lack of mythology was helpful, since it allowed the finale to focus on things that were more character-based. It even helped stress the themes. Not explaining, for example, what the Light was or what it did made Jack’s commitment to it more in line with the existentialist themes of the finale: It’s not so important what you dedicate yourself to, just so long as you dedicate it to something. And yet, I suspect it was massively unsatisfying for some, and will probably hurt the show on repeat viewings. After all, the Jacob/Man in Black rivalry now seems shockingly irrelevant compared to where it was just two episodes ago. Similarly, we still have no idea, really, why Ben killed Locke. During Ben’s apology last night, he said it was because he was jealous of what Locke had, of the fact that Locke was “special,” but this doesn’t really mesh with the details of the murder. For one, as I discussed before, we don’t really know if Locke was special, just that his belief in the Island made him appear special to others. And while this works for some storylines—Jack being convinced by Locke’s faith, for example, is actually more poignant if that faith is not corroborated by anything external—it pretty much fails this one. It also fails to explain why Ben would have such a change of heart at the mention of Eloise Hawkings’ name. Overall, I think that focusing on thematic closure in the series finale will be good for the philosophical consistency of the show, but bad for a lot of the plot elements. To some degree this was inevitable—there was no way the finale could have done justice to all the plot elements the show had left hanging over the year—but I think it may have erred to much on the side of neglecting plot. I’m just guessing, but I would say you could probably cut the series by 40% and still have reached the same conclusion with only minimal cuts to the impact. By not closing so many plots (What happened to Walt? What’s the deal with the Ben/Widmore feud? When did the Dharma Initiative come? Etc. ), you render a lot of backstory and explanation irrelevant, and I suspect a lot of the series will seem like filler in retrospect. Of course, the definition of “filler” is always dependant on how enjoyable something is in and of itself. Even if we never got an explanation, for example, I still think the scene of Locke’s murder is great. But not everything on Lost was like that; you could probably cut every Kate episode and I wouldn’t miss it. What about “The End”? Was that enjoyable as an episode? I never really had any doubts that the series finale would be good as an episode in and of itself—my main worries would be its ability to add closure. The finales of Lost are all great, and long, epic episodes are the area where Lost’s comparative advantage over other shows is greatest. “The End” was no different, following a traditional Lost finale structure. We had a divergent groups of characters—The Core Four, Locke 2.0 and Ben, Richard and Miles—all starting in different places. The Core Four were, like Locke 2.0 and Ben, looking for Desmond, who ended up being at Rose and Bernard’s. When Locke 2.0 showed up and threatened to kill both of them (“and make it hurt”), Desmond joins with him and Ben. They cross paths with the Core Four, and Locke 2.0 realizes that Jack has taken Jacob’s place. “You’re sort of the obvious choice,” he tells Jack, as the audience nods. *This kind of pokes holes in my theories about why Locke 2.0 has Locke’s memories. It seems that inhabiting his body allows him to remember Locke’s experiences. Either that or the Man in Black was previously aware of them, but there doesn’t seem to be a “blending” of the memories. As they leave the cave that houses the Light, though, Jack starts beating Locke 2.0, and it becomes clear that Locke 2.0 is mortal: “You were wrong too.” Locke 2.0 manages to get away and head towards the cliffs, from which he can see his boat. Jack tracks him down and they engage in a rather epic fight in the rain, one of the coolest fight sequences ever on Lost. Just when it looks like Jack is down for the count—Locke 2.0 holds his knife to his neck and tells him “You died for nothing”—Kate comes to Jack’s rescue and shoots Locke 2.0 in the back. Jack kicks him off the cliff but, in a nice touch, he lands on the rocks near the beach, and not the ocean: Even in death, the Man in Black can’t get off the Island. In order to prevent the Island from sinking, though, Jack needs to go back and undo what Desmond did. Before he does that, though, he tells the rest of the group to leave the Island. Sawyer’s up for it, but Kate wants Jack to come with them. Jack, of course, can’t leave the Island, having finally found his purpose, but the two are finally able to declare their love for each other. It’s a great scene if only because it made me care about Jack and Kate’s relationship for about two seconds. So Sawyer and Kate head to Hydra Island, where Miles and Richard, having already found Lapidus, are there ready to fly Ajira 316 off the Island. After some cursory repairs with duct tape, the plane is ready to take off. Just then, though, Sawyer and Kate show up, with Claire in tow, and those six take off and leave. Meanwhile, back by the cave, Jack knows he has to go down and undo what Desmond did, but he also knows that he won’t be coming back. As such, he puts Hurley in charge of the Island, and for the third episode in a row, we get an Island Protector Ceremony. It’s a moment that really should have been executed better than it was—this moment in which Hurley, the perennial sidekick, got put in charge and accepted such a massive responsibility. And yet, because it had nothing building to it and no set up, it felt largely like a way to wrap up Hurley’s story and nothing else. The same goes, unfortunately, for Hurley’s asking Ben for help. What really made this episode stand out, though, were the scenes in the Sideways story. The various reunion/realization scenes, while occasionally seem formulaic, were generally moving, and provided touching closure to important relationships, most notably Sawyer and Juliet’s. It was also cool to see some of the more low-key moments, like Hurley’s delight at seeing Charlie in his hotel, Jack and Juliet as cordial co-workers and ex-spouses, and Desmond telling Eloise Hawking that he wouldn’t take Daniel Faraday with him. So, the big question: Did the finale provide consistent and compelling closure to the series? Well, for some, yes. For Jack, emphatically yes. On Jimmy Kimmel’s “Aloha Lost” special, he made a point of saying he thought that the series represented “Jack’s story,” and I think the finale emphasized who the protagonist of this ensemble show was. Jack’s story, from his on-Island scenes as the protector and his fights with Locke 2.0, to his off-Island trouble remembering and his conversation with Christian, was the only that got a full and satisfying resolution. Several other characters got adequate or worthwhile resolutions, even if the treatment wasn’t as thorough. Josh Holloway’s performance as Sawyer and that great scene with Juliet left me with no lingering uneasiness about Sawyer’s arc; Locke’s extensive treatment in the off-Island story, combined with his scene with Ben at the end, gave him a nice goodbye. And even though I thought Hurley-as-Protector was rushed, it was a nice ascendancy. At the bottom of the spectrum, probably, were Desmond and Penny—I would have expected, and liked to see, some sort of reunion between them, maybe after Hurley let him off the Island. As for Ben… well, we didn’t get much resolution there. Seeing him sitting by himself, still hung up on his own guilt, was a nice touch, but I was expecting more of an on-Island redemption for the character. He didn’t really have the chance to betray Locke 2.0, and kind of lucked into his Number Two job. Overall, though, I think that final image of the show, with Jack taking his place in the Church cut with him laying back down on the beach, was a beautiful one. Seeing him “move on” at the same time he accepted his fate, and seemed eager to once again relive the life he was destined for, was a touching way of illustrating the show’s overarching themes of destiny, fate, and self-worth.